Work places that incorporate the use of any type of machinery, whether big or small, should set up dust collection systems that will improve the quality of the air. 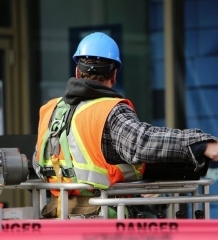 This will make sure that companies are staying within the health and safety requirements, ensuring that employees are never put at risk. These systems will remove particulate matter from the environment which may be harmful. The systems run on the following main principle: capture, convey and collect. The first stage involves the dust being captured. This is achieved by capture hoods, devices which catch the dust from the source of origin. In many cases, the machine which is producing the dust will include a port to which these hoods can be attached. The dust is then conveyed. A ducting system which is properly sized and manifolded will help to maintain a consistent minimum air velocity. This is required to keep the dust in suspension so that this process can take place. Be careful…A duct which is not of the correct size can potentially lead to material settling in the duct system, causing obstruction. The final stage involves the dust being collected. This can be achieved in various ways but this will all depend on the application and the type of dust being handled. The most simplistic approach to achieve this is to do so through a pass- through filter, a cyclonic separator, or and impingement baffle. For the more complex method, an electrostatic precipitator can be introduced. Failing this, a chemically treated wet scrubber or stripping tower can produce results. Even though a dust collecting system is imperative within industry, it can be seen as an expensive addition to production equipment. While it doesn’t supply a financial return, it is still a very important addition to equipment and in some circumstances it can be illegal to not have one implemented. This can cause strains on the management and employee relationship. Managers may see it as a loss of production and a consumer of vital resources. Dust extraction is now a necessity within health and safety requirements and it should be considered during the early stages of designing machinery or purchasing processing equipment. This in turn, will reduce plant costs and improve the practical working conditions. It may seem like common sense but when designing machinery, you must consider the risks involved with the material you are handling. You should especially highlight the type of fume or dust which will be generated. By carefully selecting a material and the treatment involved, you can reduce the generation of dust or fumes. 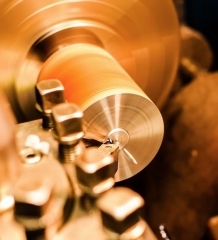 An analysis such as this could potentially reduce the generation of dust particles or stop the production of larger particles. 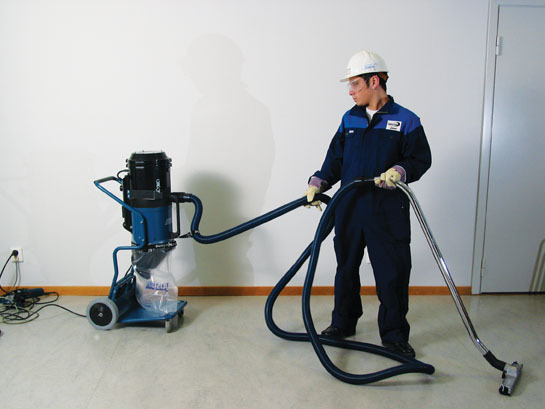 Dust extraction is an essential requirement in any industrial work place and I hope that this article has been useful and informative.